Every year, Microsoft hosts an Expo design competition across universities and bring students onto their campus to present. This year, Nathan Auer and Gino Scarpino represented Microsoft to be the guests and mentors of our Microsoft Expo class on the topic of inclusive design - design for all. 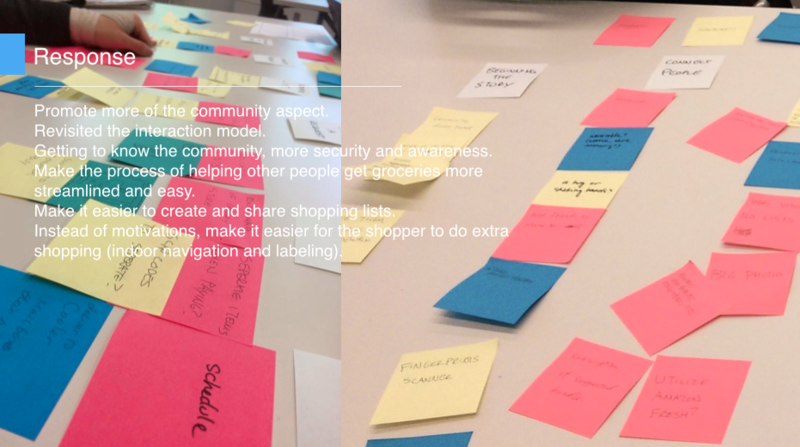 Our group focused on redesigning the shopping experience. Besides the whole process from researching, brainstorming and finalizing concept, I was highly involved in and focused on the executions of interface design and video production. This video clearly explained how our App WeKart helps create a community for people to have a better grocery shopping experience. everyone in the class came up with three ideas/problems we think that are worthy improving to be more inclusive/accessible. We presented our topics to the class and the people who shared the same interests joined together as a group. 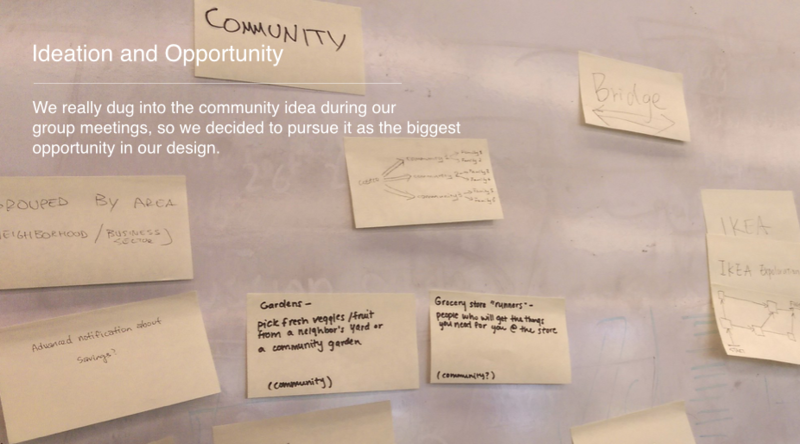 We had a group of 6 people - four interaction junior students and two HCDE graduates as we were all interested in making the grocery shopping experiences more convenient for various groups of people. 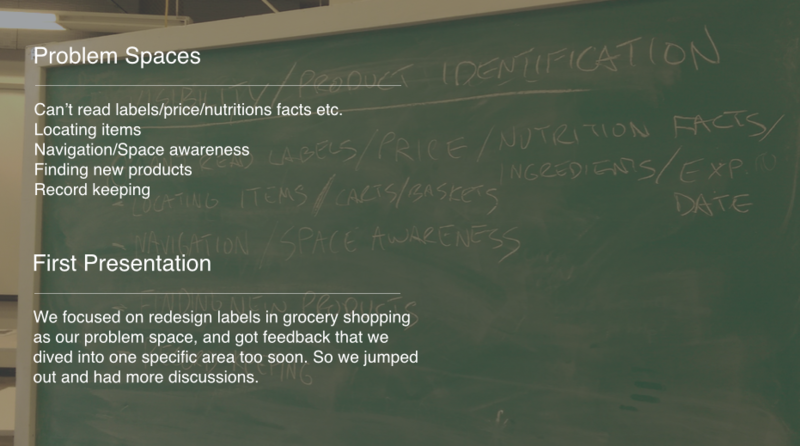 discover problem spaces, opportunities, target audience in our design of grocery shopping experience.